It sounds so silly but dealing with Caterpillar’s constant demand for snacks is currently one of the my most difficult parenting challenges. I beg you to tell me in the comments that I’m not alone in this? Since around two and half his appetite for eating between meals has gotten bigger and bigger, and sometimes I think I’ll scream if he asks me for something to eat one more time. I don’t know what the cause is and the snack dilemma brings with it so many mum-guilt style questions. Is he bored? Is it because we’re a very foodie family and we eat a fair bit ourselves? Am I not feeding him often enough? Will all this snacking lead to obesity? All to the backdrop of Caterpillar whining for food. In a lot of ways I feel fortunate when it comes to his eating habits. By and large, he has always eaten well. We used the baby-led weaning method so he was having quite adventurous “grown-up” meals from a young age, and I think this has helped him to be a reasonably good eater now. He eats well most mealtimes and yet this still doesn’t squash his desire for snacks and I find it’s something I always have to think about. I daren’t start a long car or bus journey without a snack or two in my handbag. Rice cakes – We keep these either plain or with a little peanut butter. He’s also a huge fan of the yogurt-topped variety. Veg sticks – Caterpillar is a bit of a maniac for raw carrots (he’s actually had them for breakfast before – seriously, my kid is odd). I often ease my too-many-snacks guilt by giving him a bowl of carrot, cucumber and red pepper sticks to snack on and, fortunately, he enjoys these. 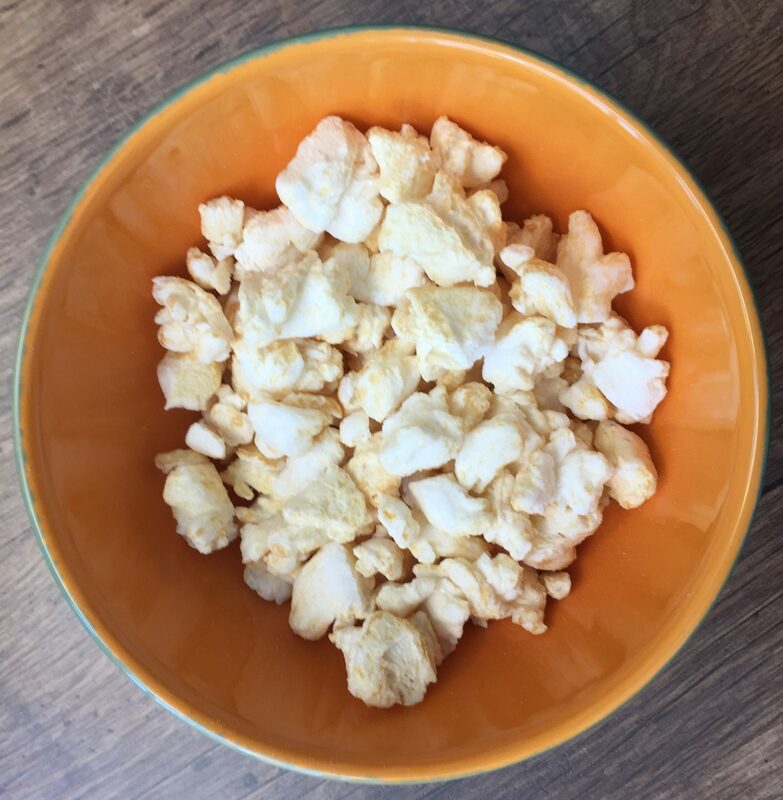 Popcorn – This is hugely popular with Caterpillar and he will happily nibble on all kinds but I was really pleased to discover this new Banana Puffcorn from Goodies by Organix. A delicious & sweet banana flavour with no nasties and totally organic – only corn, rice flour, banana juice and Vitamin B. At only 39 kcal a bag I don’t feel so bad about eating any leftovers. 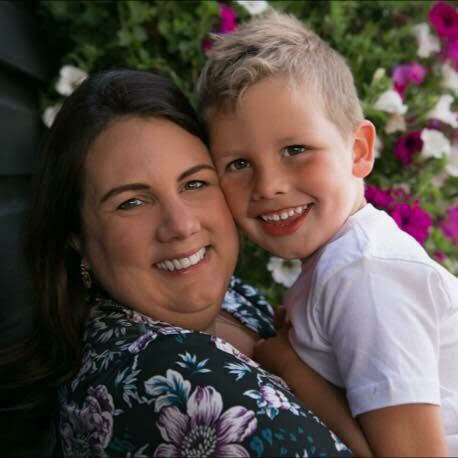 Breadsticks – This is a favourite for both of us and a really handy snack to take out and about because it’s not messy, besides a few crumbs. 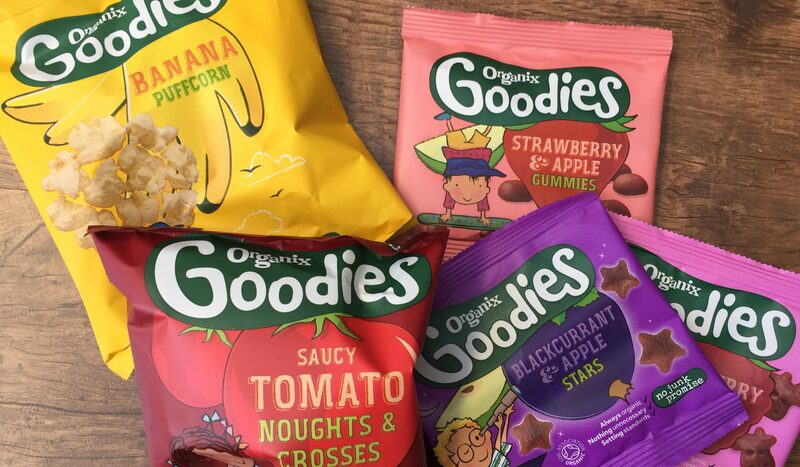 Crisps alternatives – Caterpillar loves corn snacks and especially the Organix Noughts & Crosses, they have a really yummy tomato flavour and a lot less calories & artificial flavours than regular crisps and rice & corn snacks. 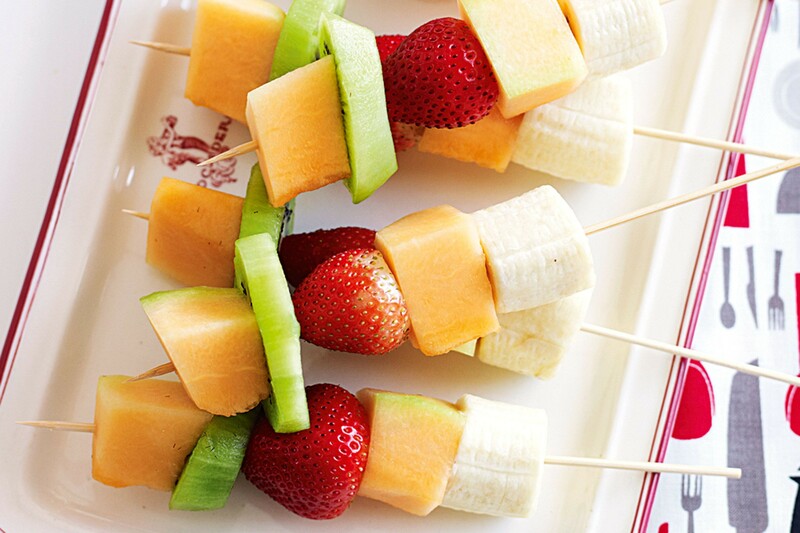 Fruit – Although Caterpillar likes a lot of fruit anyway I’ve found that I can encourage him to try new options by making fruit kebabs. I’m also keen to try this watermelon ice lolly idea I recently spotted. Frozen peas & sweetcorn – This is the weirdest of the lot. Caterpillar loves to make homemade pizza but I think part (/most) of the reason is so he can eat the toppings as we go along. This is how he discovered frozen sweetcorn and now he asks for a handful as a snack. So odd but better than sweets I suppose! Fruit gummies – These are pure genius and something we often offer as snacks – especially when out and about. It’s hard to believe these are made almost entirely from fruit as I can easily pass them off as sweets to Caterpillar which is fab. They are really sweet and tasty but with a lot less sugar and preservatives than real gummy sweets. He has recently tried the Organix Goodies range and loves all the flavours. If you’d like a chance to try some of these Organix snacks for yourself just enter the giveaway below. Do you also face the daily snack battle with yours kids? What are your favourite things to offer? Disclosure: This is a collaborative post, words & opinions are all my own. Previous Previous post: Center Parcs – What’s All The Fuss About? Next Next post: Is Your Home Harming Your Pet? Nice ,healthy snack from Organix. Perfect for the little ones when they want a snack!! My little boy loves these! Thank you for the opportunity. This would be amazing, my son loves these! I’m always after different ideas for snacks as my little one gets bored of the same ones. This would be great for my daughter, she loves snacks!! My kids loved raw carrots, broccoli and cucumber with dips such as cream cheese and hummus.